I recently signed up for Food & Wine Magazine’s Daily email where I get one sensational (their words not mine) recipe emailed to me every day. I usually glance at the recipe and then delete the email, not because the dish sounds bad, but because I know I will never make it. 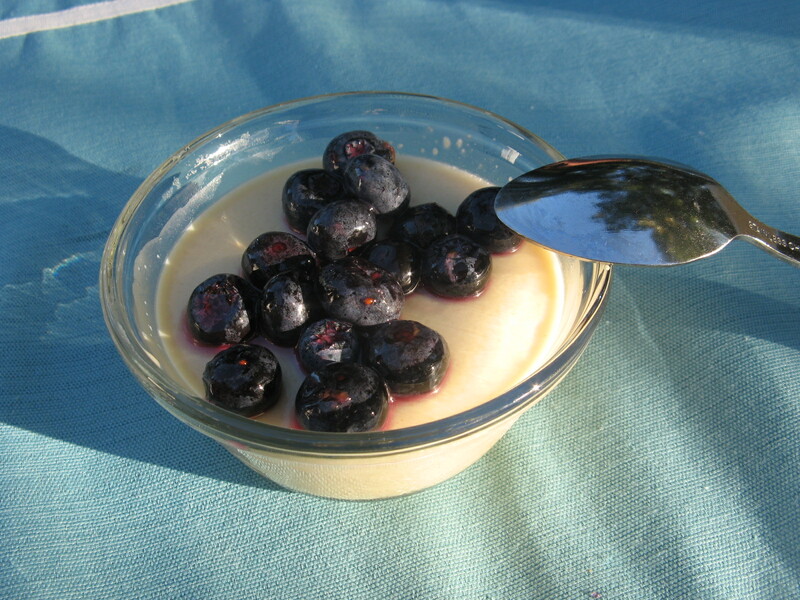 A week or two ago I got one recipe that I knew I wanted to try… A Sweet Corn Panna Cotta with Fresh Blueberry Compote. I had panna cotta for dessert at a restaurant a few years ago and instantly loved it; granted that one was a Mango Panna Cotta with a Passion Fruit Sauce. I never attempted to make it myself because I thought that it would be difficult – the one recipe I came across was a bit intimidating but once I saw this one I knew I could handle it. 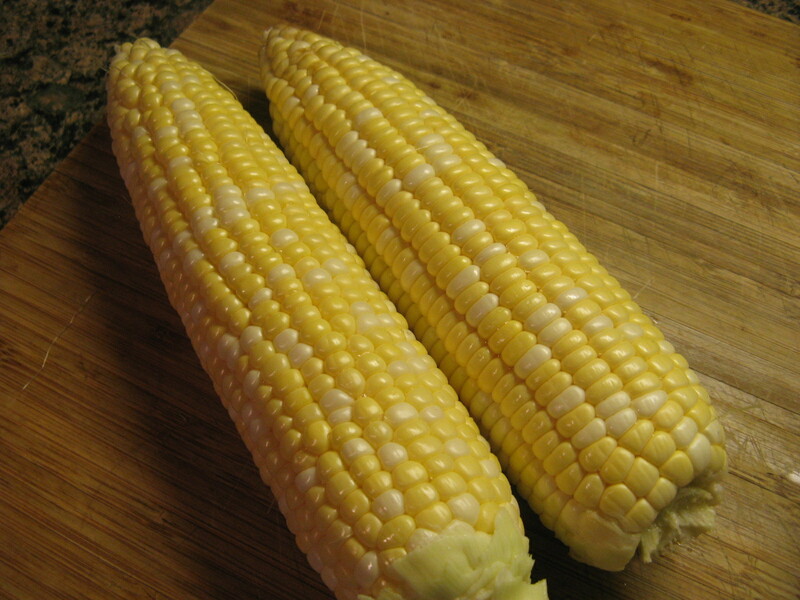 I began my shucking two ears of corn and then used a corn zipper to remove the kernels and boiled them for about 15 minutes until they were tender. Following that I rinsed the kernels in cold water and then transferred them into the bowl of my food processor. Meanwhile I sprinkled 1 1/2 teaspoons of unflavored gelatin powder over 1/4 cup of whole milk, which I let stand for 5 minutes. 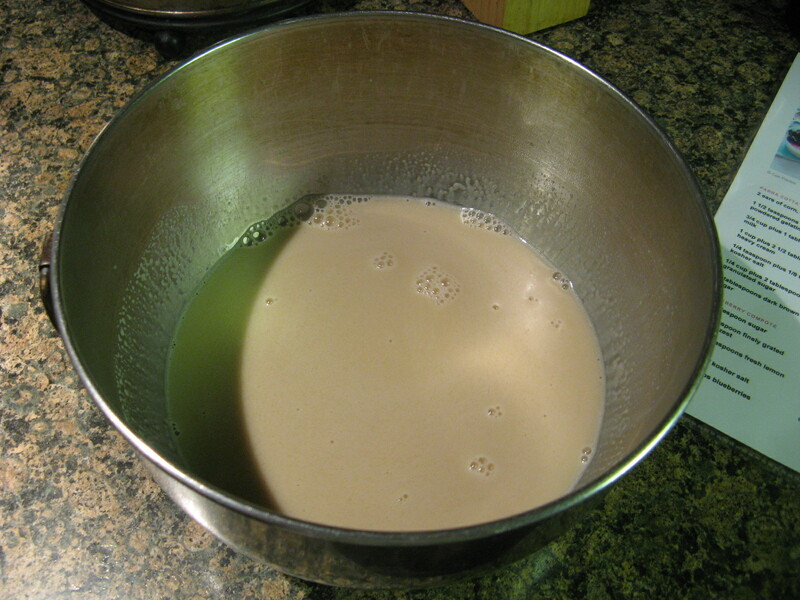 In a small saucepan I combined whole milk, heavy cream, salt, granulated sugar, and dark brown sugar and brought it to a simmer over medium heat whisking it to dissolve the sugars. 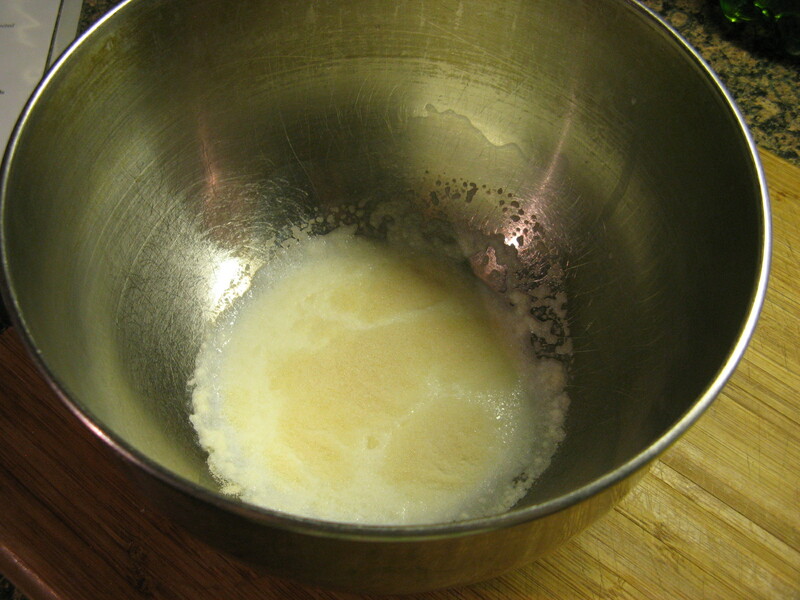 I then poured the hot milk mixture into the bowl with the gelatin mixture and stirred it until the gelatin dissolved. 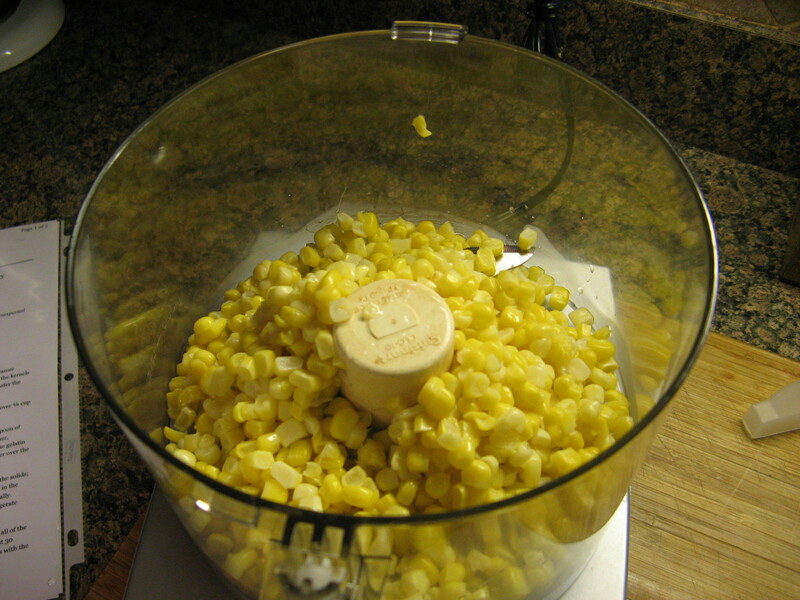 I then poured the mixture over the corn in the food processor. I pureed the corn and milk mixture until it was smooth and then strained it through a sieve pressing on the solids to get all of the liquid out and then discarded the solids. I strained the mixture once again through the sieve and then placed the bowl in an ice bath until it was cool, stirring it occasionally. And finally I divided the mixture into four 8-ounce ramekins, covered them and placed them in the refrigerator overnight so they could set. In all honesty, I had my doubts that I made the panna cotta correctly because it was so watery when I poured it into the ramekins. I checked one of them an hour or so after refrigerating it to make sure it was solidifying and I am happy to say I had made them correctly! 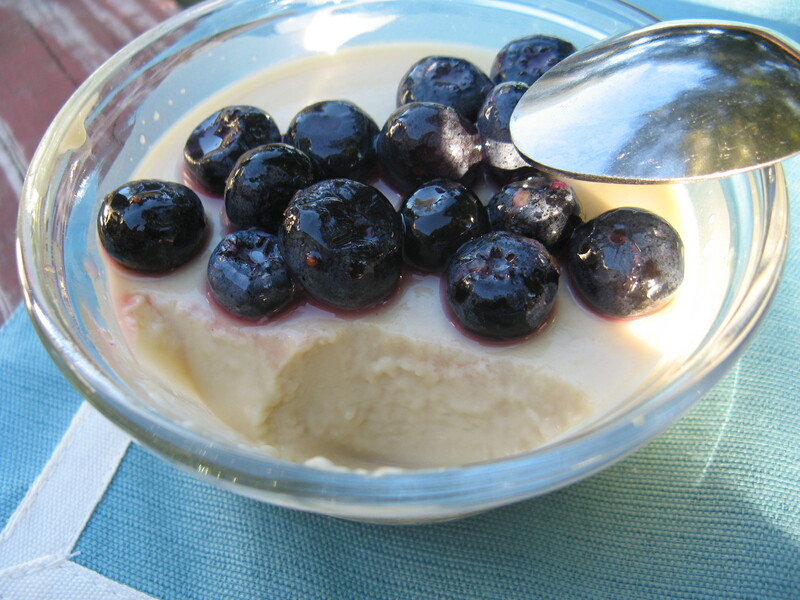 While the panna cotta was “baking” in the fridge I made the Blueberry Compote which couldn’t have been simpler. I combined blueberries with sugar, lemon zest, lemon juice and kosher salt and mixed it until the sugar was dissolved and then let it stand for a bit (at least 30 minutes), stirring it occasionally. And topped with the Blueberry Compote. This was absolutely delicious! The panna cotta was the perfect texture, silky and smooth, and the corn flavor was just perfect without being too sweet or having too much of a “vegetable” taste, for those of you who aren’t keen on eating your veggies. 2. Meanwhile, in a heatproof medium bowl, sprinkle the gelatin over 1/4 cup of the milk. Let stand for 5 minutes. 3. In a small skillet, combine the remaining 1/2 cup plus 1 tablespoon of milk with the cream, salt and both sugars and bring to a bare simmer, whisking to dissolve the sugars. 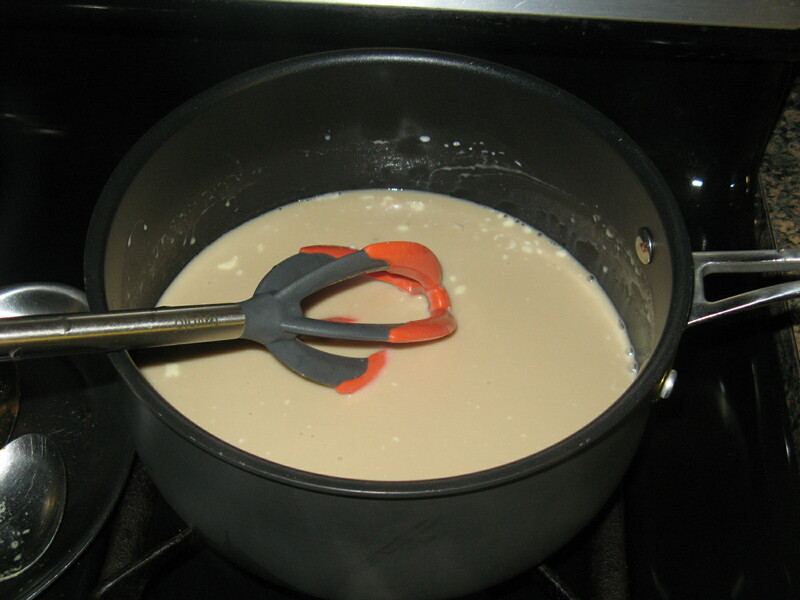 Scrape the hot milk into the gelatin and stir until the gelatin dissolves. 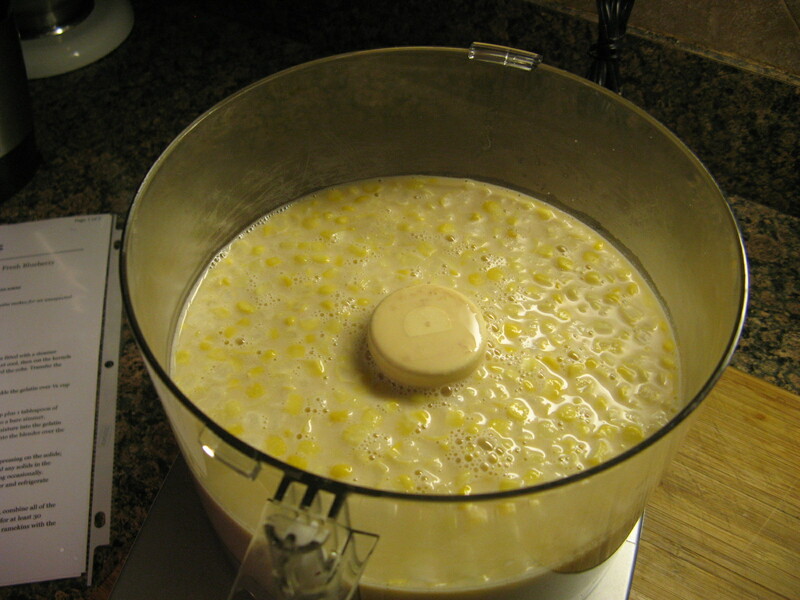 Pour the mixture into the blender over the corn and puree until smooth. 4. 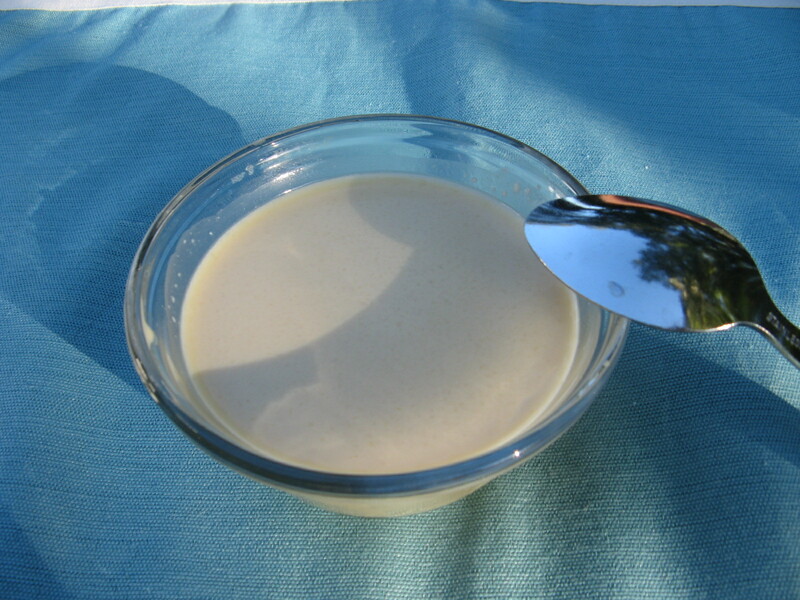 Strain the puree through a sieve into a large bowl, pressing on the solids; discard the solids. 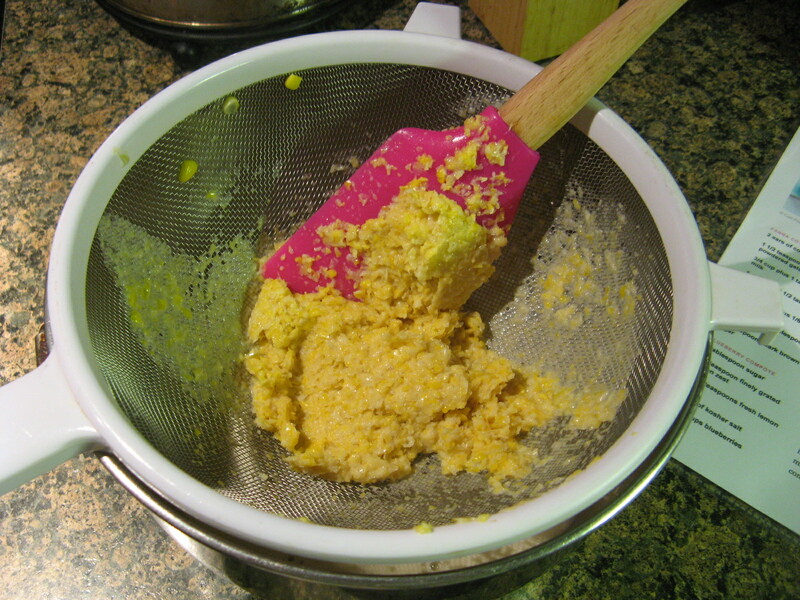 Strain again without pressing; discard any solids in the sieve. 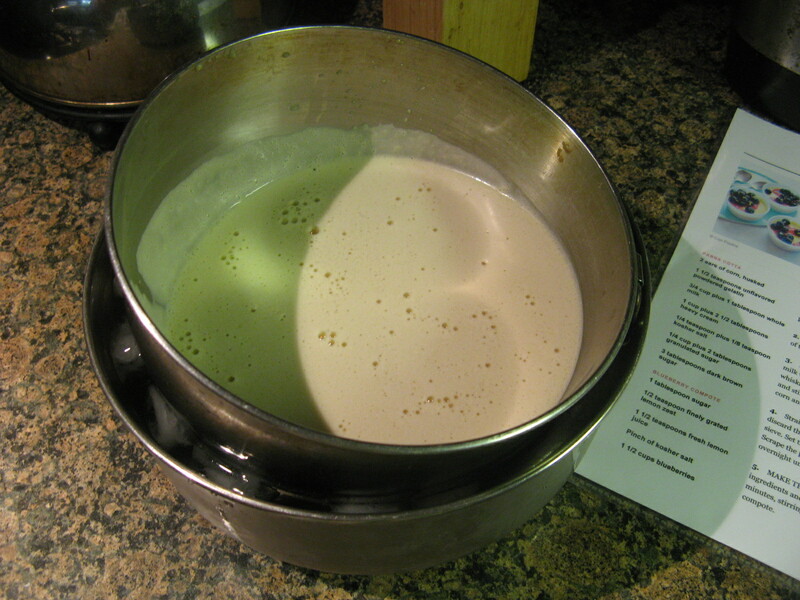 Set the panna cotta in an ice bath until cool, stirring occasionally. 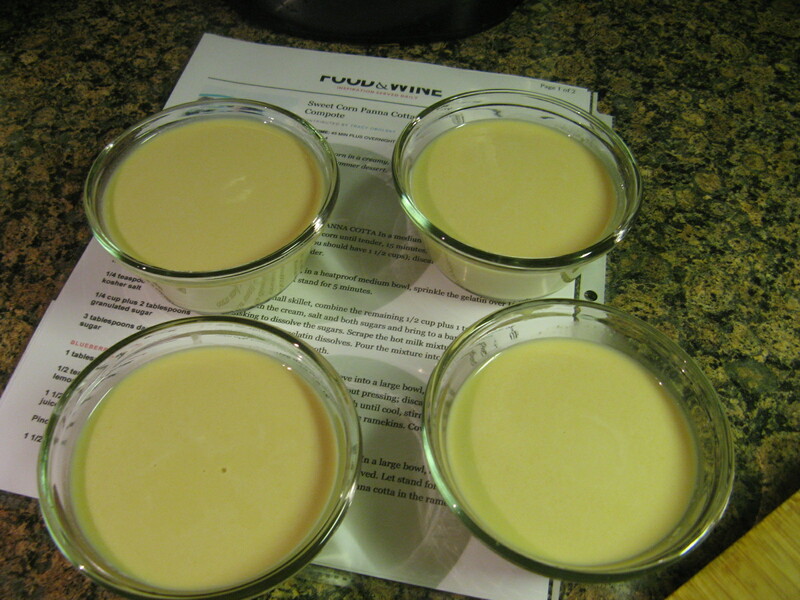 Scrape the panna cotta into four 8-ounce ramekins. Cover and refrigerate overnight until firm. 5. 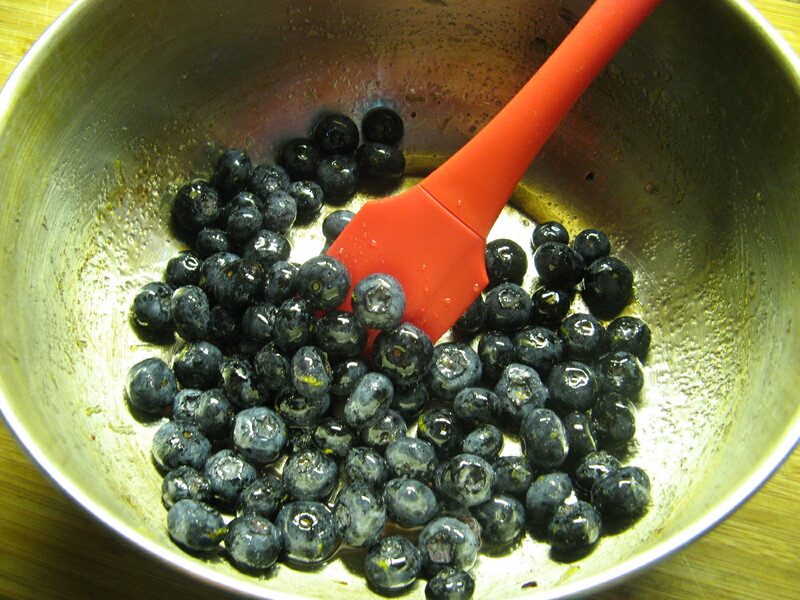 Make the Blueberry Compote: In a large bowl, combine all of the ingredients and mix until the sugar is dissolved. Let stand for at least 30 minutes, stirring occasionally. 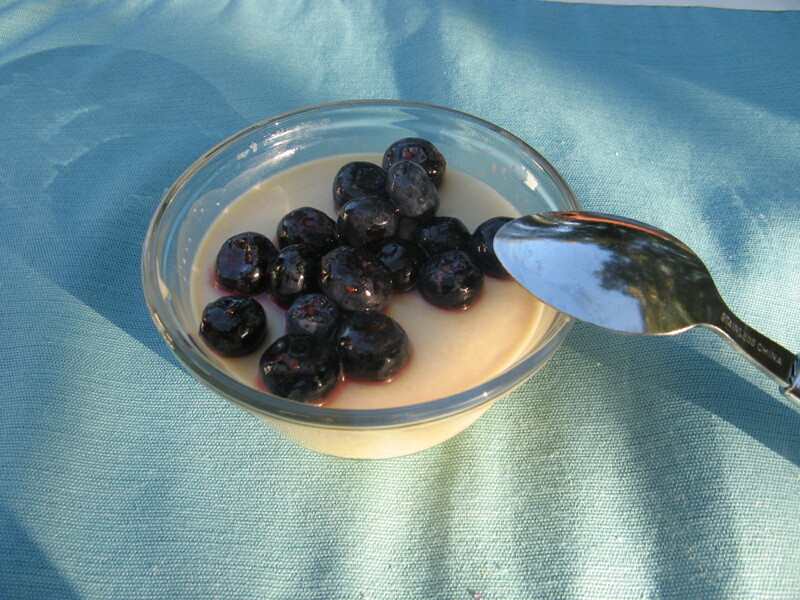 Serve the panna cotta in the ramekins with the compote. *I opted to remove the kernels from the cobs beforehand and boiled the corn for about 15 minutes and then drained it while running them under cold water to cool them. And instead of using a blender, I used a food processor. Thanks! This was actually quite easy to make and it was delicious!